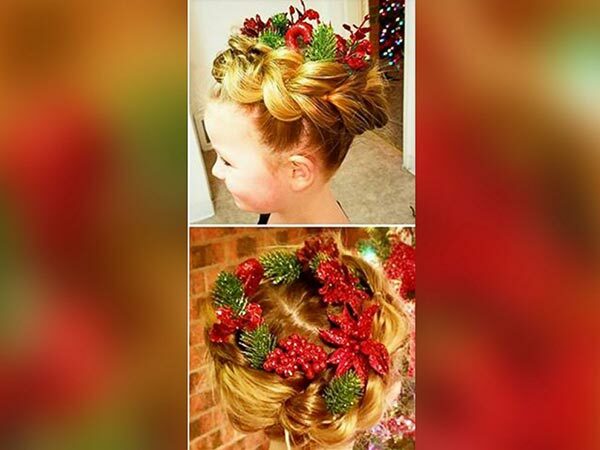 Greg Wickherst, who made headlines in 2015 when he took hairstyling lessons for his daughter's benefit, has crafted some amazing Christmas-themed 'dos for her this year. 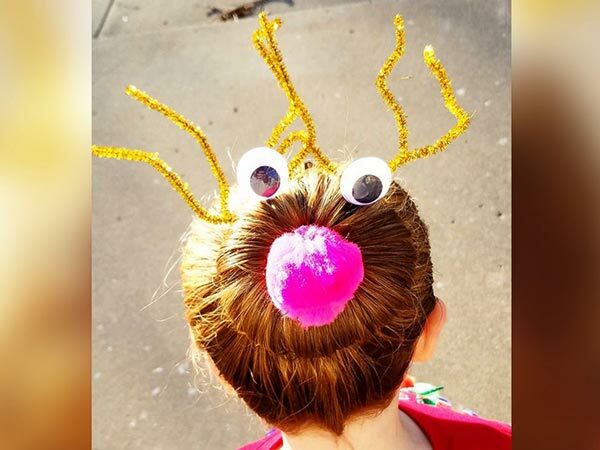 The idea came to him when it was crazy hair day at Izzy's school. "I wanted to do something really original. 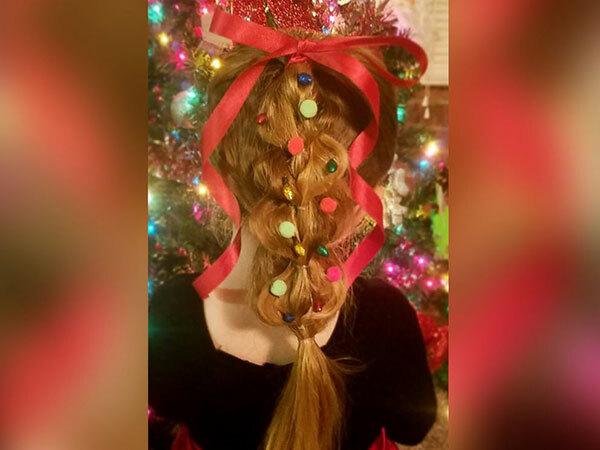 Since it is the Christmas season, I thought about putting a Christmas tree on her head," Wickherst told ABC News. He told his girlfriend, he said, she told him about glue guns. They made tiny decorations and presents and, the next morning, it took only about 20 minutes and some hair paint to complete the look. Since then he's created many looks. Some of his inspiration comes from websites and Facebook, but other ideas - like the Snowman - are all his own. "When I thought of the snowman, I realized I could incorporate her head as the bottom part of the snowman. I sat down with my girlfriend and I sketched out how it would look. We came up with the buttons, carrot, smile, scarf, etc. It was really exciting," he said.